About 25 percent of uninsured motorists (UIM) in the state are unlicensed immigrants. There are approximately 169,000 immigrants in the Colorado who are eligible for a driver’s license. The Colorado Road and Community Safety Act (a.k.a. SB 251) is a self-funded program designed to assist undocumented immigrants in Colorado, as well as those with temporary statuses, in obtaining a driver’s license or ID card. To date, the program has reportedly collected nearly $170,000 from immigrants seeking driver’s licenses in the state. These funds will go towards increasing the number of DMV offices offering SB 251 licenses and IDs from 5 to 15. While additional legislation to help increase the number of DMV appointments that can be held each day is currently in works, some expect that improving access to driver’s licenses/ID cards will be the key in getting this demographic to purchase the required auto insurance. Additionally, proponents have theorized that, with less uninsured motorists on Colorado’s roads, the number of hit-and-run accidents in the state will also likely decline. New Mexico experienced a 24-percent decrease in the number uninsured motorists from 2002 to 2011 after passing laws similar SB 251. Over this same period of time (and after passing similar legislation), Utah saw its UIM numbers decline by about 8 percent. While lawmakers and others focus on enhancing compliance with Colorado’s auto insurance coverage requirements, it’s still important to know what your options for financial recovery are if you are ever hit by an uninsured (or underinsured) motorist – or if you are the victim of a hit and run. 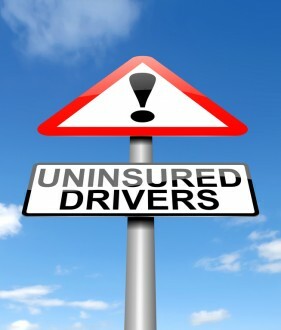 In these situations, filing uninsured/underinsured motorist (UIM) claims can be the key to securing compensation. In fact, when motorists have this coverage as part of their own auto insurance policies, they can receive compensation for their medical bills, property damage and possibly other losses caused by the crash. If you have been injured in any type of car accident, it’s time to contact a trusted Littleton car accident lawyer at Bahr, Kreidle & Flicker. For more than 30 years, our attorneys have been fighting on behalf of injured people while working relentlessly to help them maximize their financial recoveries. To receive more information about your potential case and best options for moving forward, call us at (303) 794-7422 or email us using the contact form on this page.